Universities and educational institutions are among the largest localized organizations with thousands of constituents engaging at different levels with various groups in campus. However, they differ from most other organizations in the multitude of dimensions they must operate in, both internally and externally. These dimensions include management of student records, recruitment, events and student life, alumni, faculty and staff, academic programs, research activities, affiliates and exchange programs, tuition and financial aid, donations, investments, and facilities and properties. Add to this infrastructure elements like communication, content distribution, and a multitude of websites, and you have a large collection of activities that, if not unified into a single whole system with a shared data store, will render the system inefficient and deplete valuable resources. This inevitably takes the higher education institution into the heart of the social and mobile era, to the next level of Connected Campus. In many macro systems, unification and centralization breeds efficiency. This is especially true in large information systems such as those used for higher education. If the different software tools and applications that a university uses are provided by different vendors, then achieving this unification by integration takes much expert planning, time, additional applications, and of course money. On the other hand, if a vendor can provide all these functionalities in a single software system, with capabilities for extending the functionalities and integrating with any other system, then it will enable an organization to achieve efficiency while saving those valuable resources. 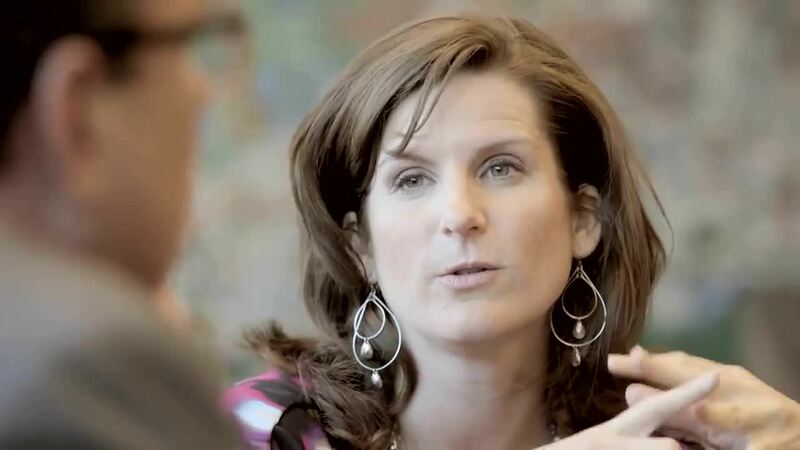 Salesforce created a solution with this goal in mind. The Salesforce Solution for Higher Education and Higher Education Data Architecture (HEDA) is a set of end-to-end solutions that allow institutions to connect with constituents in new ways using social, mobile, and cloud technologies. It places students at the center of all interactions in the institute, and by facilitating student engagement in all these interactions, it nurtures success across campus. To establish a unified view of every interaction that prospects, students, alumni, donors and affiliates have within an institution of higher education, while providing tools for handing every aspect of these interactions, a system must have a foundation from which to share all of those tools. To respond to this challenge, Salesforce has introduced Higher Education Data Architecture (HEDA). HEDA is a community-driven data architecture and set of best practices that forms the foundation of the Connected Campus. It is designed to configure Salesforce out of the box for Higher Ed. HEDA makes it even easier for institutions of any size to provide students with personalized, multi-channel communications throughout their journey, enabling richer and dynamic, 1-to-1 engagement across the student journey. HEDA unified infrastructure makes it easier for administrators and system developers to build on core objects, fields and automation and integrate with a growing number of Higher Education AppExchange apps that are standardized on HEDA. Knowledge acquisition accelerates when traditional silos break down and students and faculty freely engage in meaningful interaction. This establishes a breeding ground for a generation of ideas and advancement of knowledge. Salesforce for Community Engagement facilitates collaboration amongst students and faculty for improved success and retention. It also empowers students, prospects, and alumni with broad access to the most information ever. "The higher education community is very collaborative. The Salesforce customer community has been forthright in sharing best practices, lessons learned, and strategies to solve the common issues we all struggle with. Having the opportunity to network and learn from peers at other universities is extraordinarily valuable." Salesforce for Higher Education allows institutions to combine digital channels like email, mobile, and social media to deliver content the way students want to consume, and therefore engage students throughout their lifecycle. It provides the flexibility to test multiple variations of content, channels, timing, and frequency to see what works best. 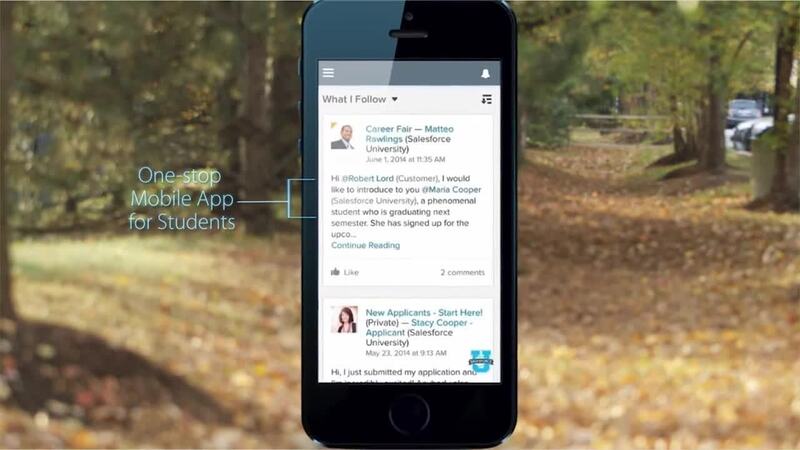 Salesforce for Student Success takes personalized education to a new level. A unique solution that enables institutions to learn what motivates students, identify at-risk students, align staff to help those students, make it easy for students to navigate the system and find the right staff to refer to, and build a supportive community across campus. New applications and engaging loyal alumni are two essential factors in determining the health of a higher education organization. Salesforce for Higher Education includes a dedicated solution for each. Salesforce for Recruiting helps institutions find the right prospects and engage them across multiple channels of their choice so they ultimately enroll. Institutions can stay current and relevant with alumni using Salesforce for Advancement by creating content and events that connect with their interests. It has facilities for multi-channel fundraising campaigns, and lets administrators manage the donation cycle from pledge to payment. "Most fundraising apps are outdated and difficult to use. Advancement Connect was the only solution that offered a fundraising option and the ability to deploy across the university." Both solutions embody deep automation features that boost staff productivity and performance and optimize interactions with accurate data. Increasing costs of education in higher ed. schools has changed the attitude of students and parents towards finding and selecting schools to attend. They now feel compelled to consider seriously how to reduce costs of education, and at the same time get the most out of the money that they do invest. They often use the vast array of information and resources readily available on the internet to find answers to these questions. Social media, forums, reviews, opinions, program descriptions are just some of the channels and material they search through. "90% of students research higher learning institutions online." On the other hand, this new disruptive behavior has rendered traditional advertising and recruitment efforts through channels like direct mail, radio, TV, and print ads virtually ineffective. Recruiters need to be present online where their prospects reach out to get answers and be there with relevant content and information they are looking for. This is possible by adopting an inbound marketing strategy. Inbound marketing platform by HubSpot uses digital media and online channels to deliver content that attracts prospects, therefore personalizing the marketing effort, which has proven to bring in more quality leads. Furthermore, it takes the prospect down the funnel with a precise nurturing scheme that is based on targeted content relevant to the prospects stage in the funnel. Attract: Optimize new and existing content to attract website traffic and increase program awareness with blogging, microsites, social media, and your website. Convert: Engage audiences with customized content unique to their stage in the admission cycle, intended area of study, or website activity. Nurture: Create multiple conversion points to tailor campaigns and shorten the length of time between a prospective student’s first visit and their application submission. Close: Use closed-loop analytics that directly attribute enrollments to your marketing campaigns and provide a 360-degree view of a prospective student’s journey. Through its innovative inbound methodology, HubSpot helps educational institutions attract higher quality traffic to their website, convert that website traffic into prospective students, and nurture those prospective students into applicants. Data analytics plays a key role in increasing efficiency and performance in all areas in a higher education institution. From improving communication to lowering drop-out rate, analytics tools and techniques draws actionable insight from otherwise huge amounts of mostly useless data that is produced at a mind-boggling rate. Descriptive: A realistic view of what has happened in the past is only revealed after using advanced data mining techniques in different areas of institution. With such a powerful tool in their hand, school administrators can focus their resources on areas that will improve the institutions performance most. Diagnostic: Questions like what causes students to drop out, or what motivates students to complete courses faster, can be answered with Diagnostic analytics, which draws actionable insight into statistics. Predictive: This type of data analytics has extensive use in all areas. For example, in research projects, recommendations for future work can be drawn from statistical models and forecasting of past data. Or, in a student success improvement initiative, such models can predict the future outcomes and improvements based on past performance. In all cases, the institution can make key decisions that move it forward. Prescriptive: Prescriptive data analytics represents opportunities for groups of students to experience services tailored to their uses and preferences. How Can University Administrators Benefit from CRM for Higher Education? Salesforce offers substantial discount on its world-class CRM for higher education. Education Partner Program by HubSpot offers a free enterprise license with unlimited users. Analytics applications from Google, IBM and Cloudera that are geared to higher education institutions. Cetrix special offer for higher education that includes a complete implementation service (from consultation to training), plus post-implementation support plans for as long as the institution requires it. Salesforce enabled Country Education Foundation to Achieve More Effective Grant Management without geographic barriers. Learn more about improving digital capabilities to accelerate wealth management growth. Find out how to use Communities to foster relationships with all of your most important constituents, harness the power of crowd funding and partnership with your service users. Download your crash course in Education CRM from Salesforce and learn how your institution can get a single view of students to build relationships on any device. Get a Crash Course in Education CRM from Salesforce and find out how to streamline recruitment and support students across touch points on any device. Gain A 360-Degree View Of Your Students, And Engage Them On Their Preferred Device. Education CRM solutions are empowering learning institutions and educators to build stronger, more fruitful relationships with prospects, students, alumni, parents and donors. Contact us to learn more about solutions for Higher Education, and start taking full advantage of social, mobile, cloud, and analytics as you transform your organisation.